Apple Health, Samsung S Health, HealthKit - it's no big secret that health tech and wearables are being brought closer together. It's putting the data into the hands of the people to monitor and evaluate their own wellbeing without leaving the house, or into the hands of doctors to help you make sense of the biometric info. There's no getting away from it. Now the tech giants want a piece of the action and that's a big deal. We've already heard about the likes of Nokia and Alphabet and their efforts to take wearables beyond the realms of burning calories, counting steps and logging sleep. But when the big tech two decide it's time to get involved, people stand up, take notice and usually follow in their footsteps. Announcements made this week, together with hints around what's coming in the not too distant future, paint a picture that health-tracking wearables are going to be available to the majority and not the minority; not only bringing more accurate data, but also the kind of insights that could potentially save lives. Let's start by talking about Apple who this week unveiled watchOS 4, the next big software update for the Apple Watch, Watch Series 1 and Series 2 smartwatches. It's probably going to rock up on the Apple Watch Series 3, as well. Away from Toy Story watch faces and HIIT training tracking, it also announced something called native core Bluetooth support. Well, it means that when the OS update rolls out in the fall/autumn, Watch owners will be able to pair a range of portable connected devices, like tennis trackers and glucose trackers to see data continuously on the watch screen. Could you pair these devices before? Yes, you could, including Dexcom's glucose tracking device, but this means you no longer have to peer down at your phone to find out the data. So it's not built into the Watch? No, but that doesn't mean that it still won't happen and we can't rule out that Apple is not thinking about a dedicated health wearable. Because there's been plenty of speculation to suggest that Cook and company has big plans on this front. We've already reported that Apple hired a small team of biomedical engineers to build a non-invasive sensor for monitoring glucose levels. A patent for health-tracking AirPods also popped up recently with tech that would be able to detect your heartbeat, temperature, stress and blood oxygen levels via various sensors embedded in the device. Also, Apple recently signed a multi-year agreement with Nokia (who now own Withings) to use its intellectual property. The duo decided to become business partners, as opposed to duking out in the courts over patents, releasing a joint statement that said the two will explore working on future "digital health initiatives" together. The Korean tech giant didn't officially announce anything this week, but a FCC listing provided a strong indication that it's preparing the launch of its first health-focused wearable. It's called the Samsung S-Patch 3 and is based on a prototype device that the company demoed last year. Based on the very limited details on the listing and what we know from that first demo, the device will stick directly onto the body and it'll offer ECG-grade heart rate monitoring. 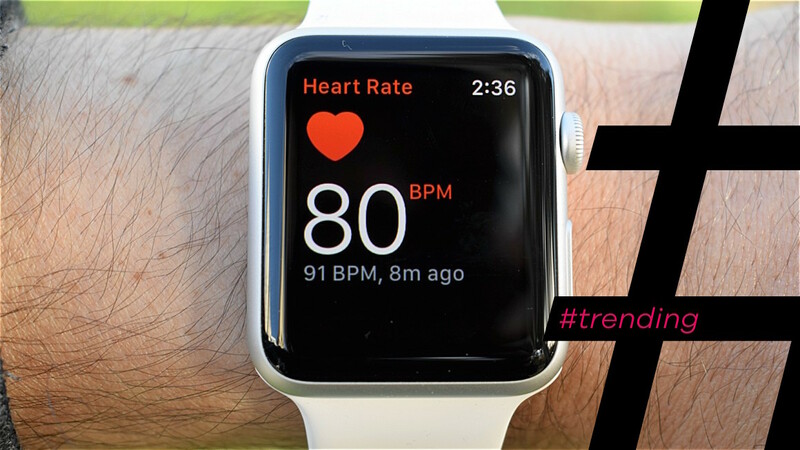 That's the same HR tracking tech adopted by the medical industry and is regarded as more accurate than the light-based optical heart rate sensors featured inside of devices like the Samsung Gear S3 and the Samsung Gear Fit2. So it's all about heart rate then? Potentially it could do more than track heart rate continuously in real-time. It's highly likely to have been built with Samsung's own Bio-processor that also has the capability of monitoring PPG, skin temperature, Galvanic Skin Response to indicate stress levels and body fat data. Surely Samsung is trying more than one tactic? Yep. As well as the patch, Samsung has already built reference designs for a band that can harness the sensor-packed chip technology, as well as talking up the potential for smart clothing that could also be used for remote medical monitoring. So the S-Patch 3 looks set to be just the start of Samsung's big health wearable push.